What Is the Seductive Girl in the Centre Saying to the Boy Behind Her? Home Shunga Subjects & Themes Bathhouse Gossip: What Is the Seductive Girl in the Centre Saying to the Boy Behind Her? A print showing five people in a scene full of sensuality. 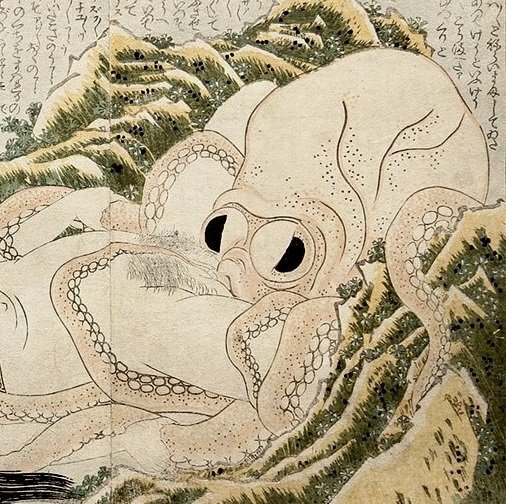 The attention of the viewer is drawn to the seated girl in the centre, Ohachi, and the young man sensually massaging her back. They are observed with impudent gazes by the older man and the woman, dressed in a light cotton robe, who is about to leave the room. Click HERE for other exciting content with Japanese beauties in the bathhouse…!! !